When you immerse yourself in water of 2 degrees C, the trick is to breathe out. A long slow exhalation counteracts the body’s natural tendency to hyperventilate with shock, and decreases the acceleration of the heart rate. I usually feel the cold in my neck first – that sensitive bit just above the collarbone on either side – and it’s three or four minutes before the fingers and toes start to ache with loss of circulation. In winter I just swim once round the pond, which takes about seven or eight minutes, but on the home strait you can feel the danger: your limbs are heavy and it’s much harder to move; a numbness sets in that could tempt you to swim too long if you didn’t know it would kill you. When I clamber out my skin is puce, as if I’ve been flayed alive. My jaw is frozen, making it hard to speak. But there’s a sense of exhilaration that’s gloriously addictive. If ever I look out the window on a grey, drizzly morning and think “Maybe I won’t swim today”, I get a sense memory of that incredible high and my junkie nature takes over. I’ve only been winter swimming daily for four years now, but I plan to do it for the rest of my life, health permitting. There are lots of seventy-plus women who swim at my pond and a sparkier, sprightlier bunch you’ll never meet. We seldom catch colds or flu because the regular cold water shock gives you a raised white cell count, and I’m currently part of a Cambridge University trial that aims to prove winter swimmers create particular types of protein that protect against dementia. Some claim it raises your libido and slows the ageing of the skin, and my partner can vouch for the fact that it improves my mood and makes me less tetchy. Why doesn’t everyone do it? I admit it takes a particular form of madness, but it’s one in which I was trained from an early age. Dad taught my brother Graham and I to swim when we were little more than toddlers and every Friday he took us to the (indoor) pool at his university. 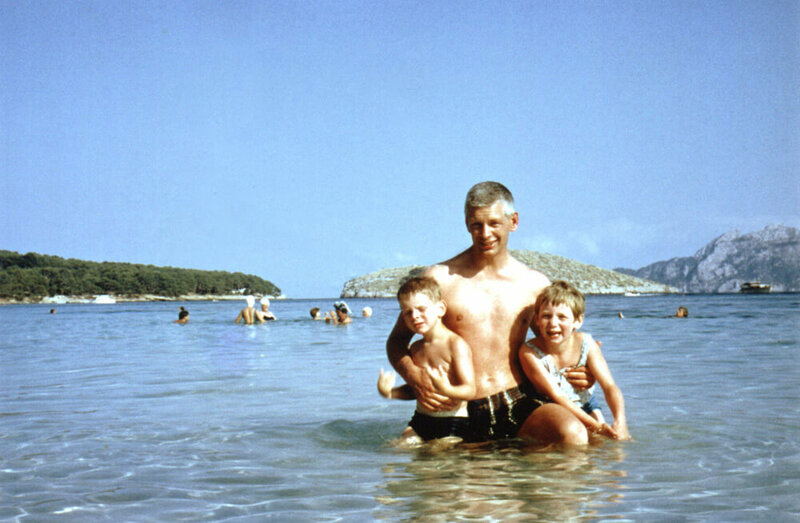 In 1969, the family accompanied him to the States for a year’s sabbatical, during which we travelled right round from north to south and east to west – and everywhere we went there were outdoor pools, something unheard of back home in Scotland. Dad, Graham and I challenged each other to swim in every single one, no matter what the weather. 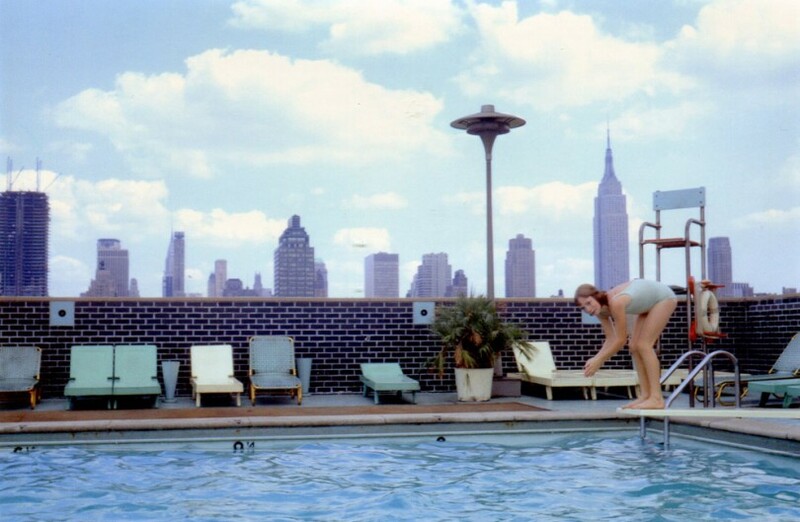 We cleared dead leaves from the surface and dived into a pool in Atlanta in March; in the Bahamas we swam in monsoon-style rain that bounced off the surface creating white-out conditions; we hurled ourselves through huge waves in the ocean off San Diego; and one spring day we got the astonished hotel manager to open a rooftop pool in Manhattan, just for us. My dad gave me many gifts, far too many to list here, but a love of swimming is a particularly precious one. And if it sees me become an active, healthy and relatively sane old lady, it’s yet one more tribute to the magnificent man he was. Gill Paul is an author of historical novels and non-fiction. Her Crimean War novel No Place for a Lady is out now and The Secret Wife, her novel about the tragic fate of the Romanov royal family, is being published in September 2016. Her website is www.gillpaul.com and you can catch her Tweeting @GillPaulAuthor.